Manor Inn has been the home to many weddings and other celebrations for over 50 years. Groups up to 150 are graciously accommodated in our beautifully decorated divisible banquet room. Celebrate lunch, dinner, banquets, showers, weddings, rehearsal dinners, anniversaries, Christenings, communions, buffets, brunch, catering, corporate meetings, seminars, civic meetings, and any occasion with the Manor Inn. 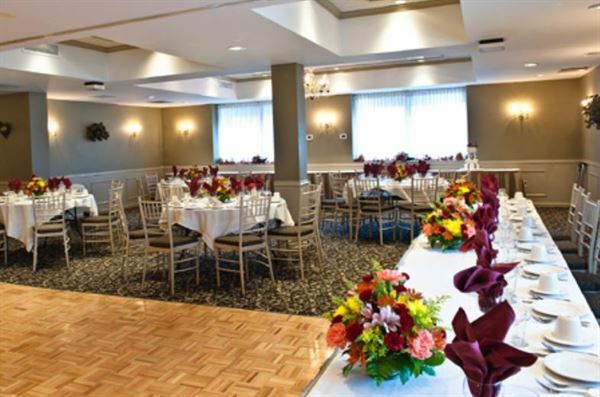 Groups up to 150 are graciously accommodated in our beautifully decorated divisible banquet room.